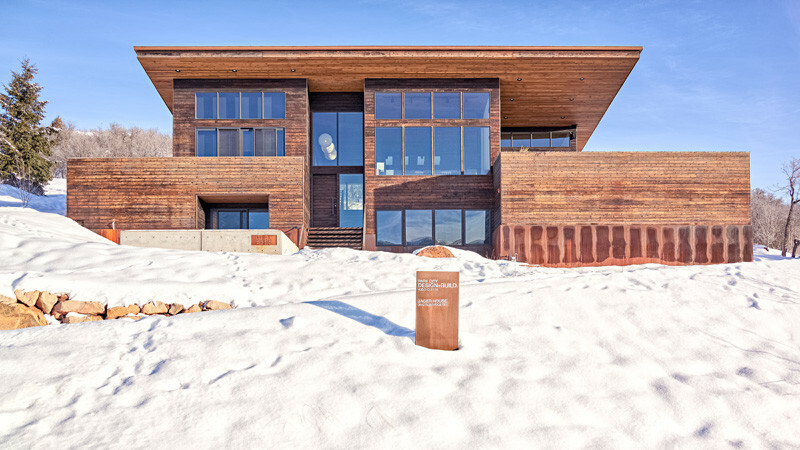 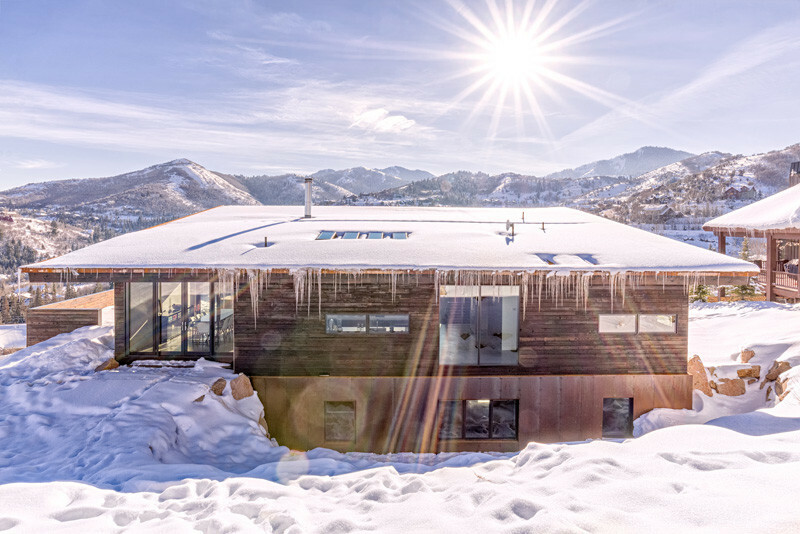 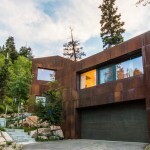 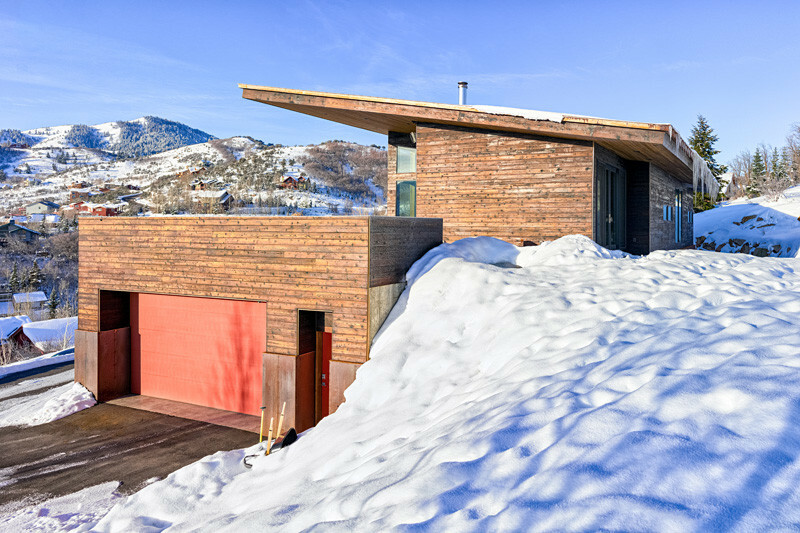 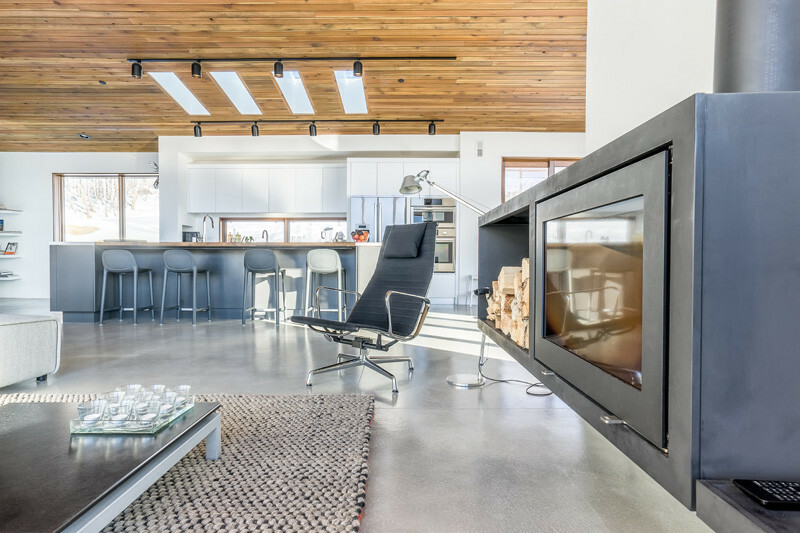 Chris Price of ParkCity Design + Build has sent us photos of a recently completed house, for a couple that relocated to the Park City area of Utah. 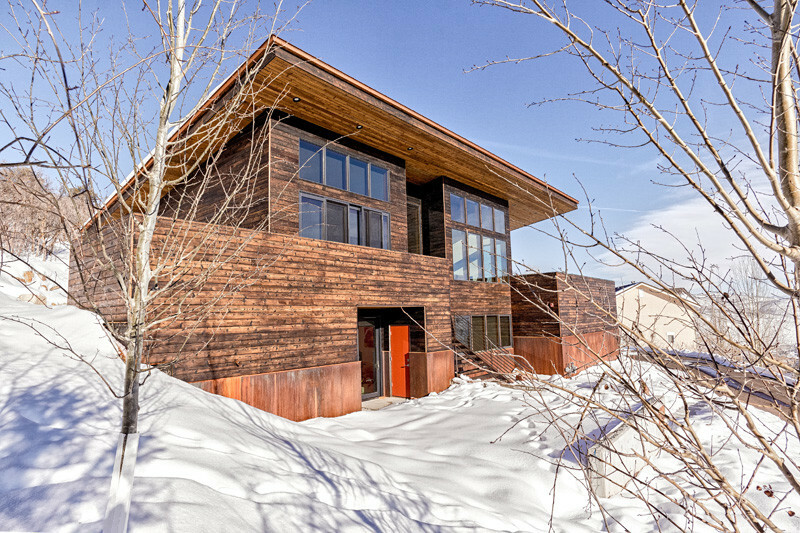 The owner took enormous strides in both design, and actual construction of the house, from building the stairs to charring the shou-sugi-ban siding. 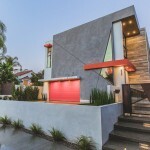 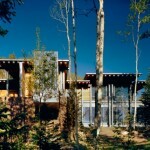 The home has a large overhang designed to let the winter warmth in, and blocking the sun in the summer. 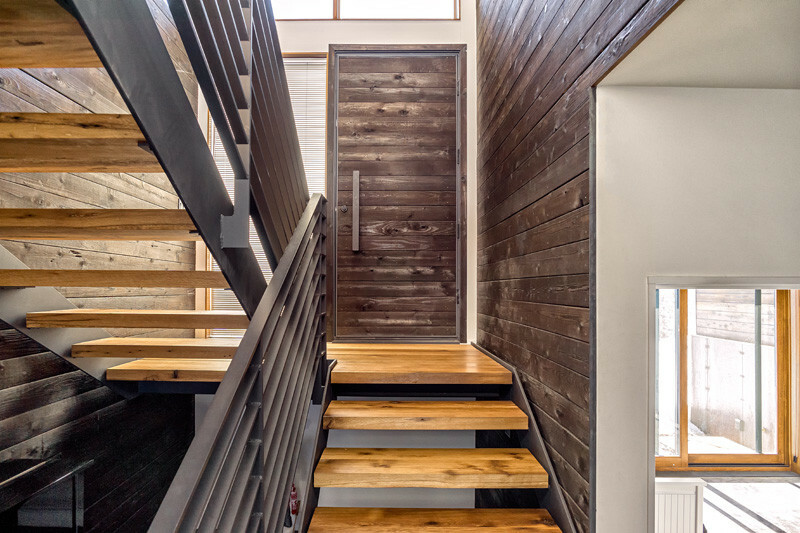 Upon entering the home, you’re greeted by the home’s stairs. 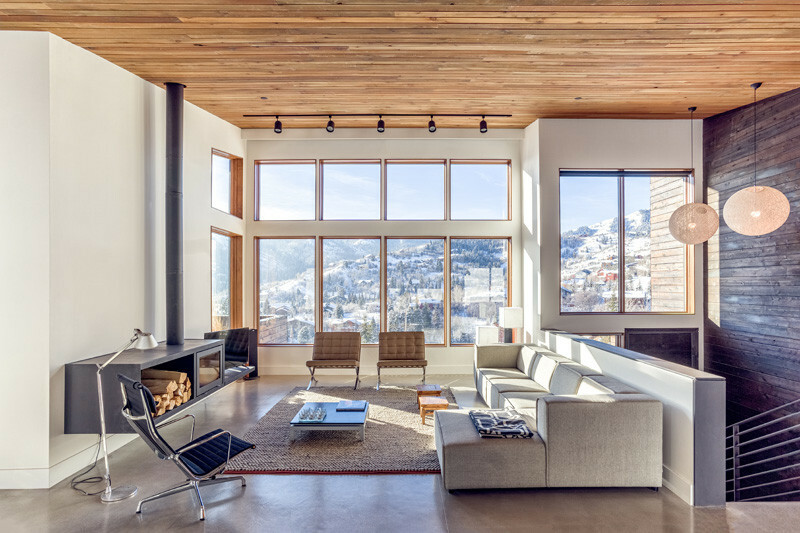 The living area has picture perfect views of the surrounding mountains. 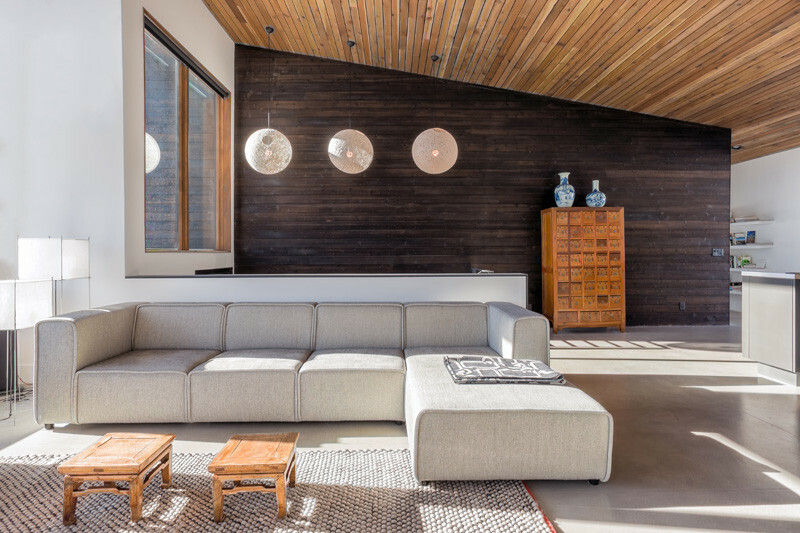 A wooden ceiling has been used throughout the open-plan living, dining and kitchen area. 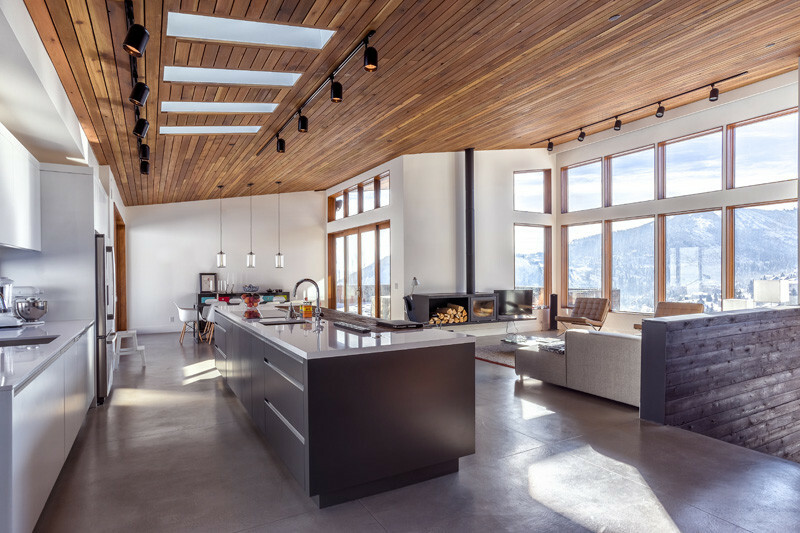 Skylights above the kitchen break up the wood ceiling. 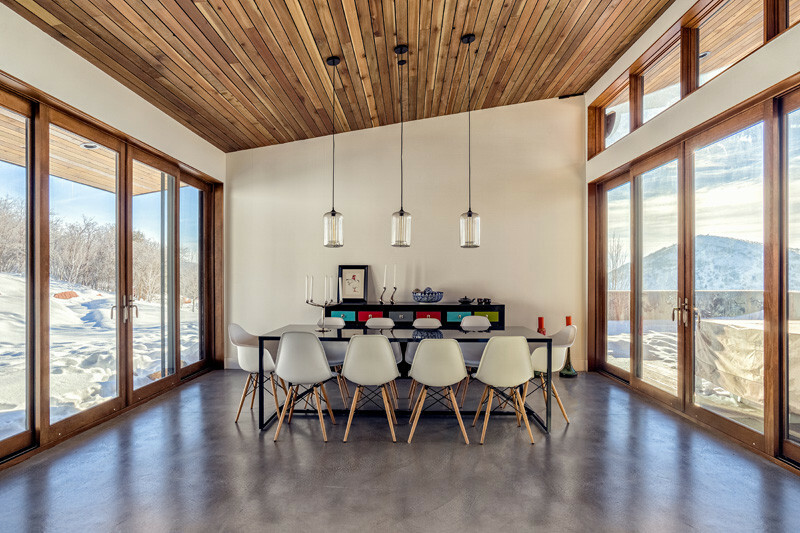 The dining room is flanked with walls of windows and doors that open to the outside. 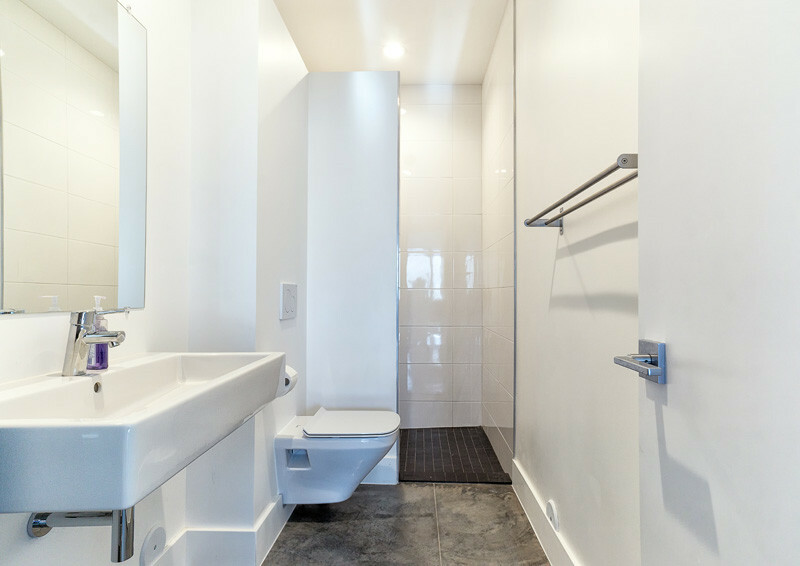 The home also includes a simple minimal white bathroom.